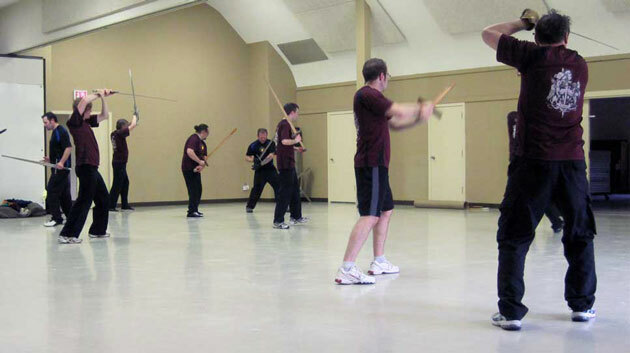 To create a world where Western Martial Arts is the dominant martial art. Our curriculum and training reflect this mission. 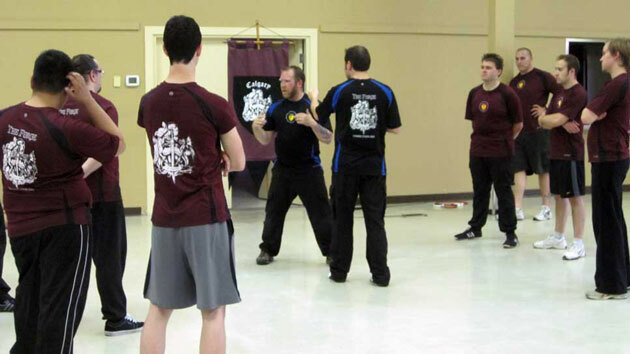 We focus on combat conditioning, skills in the above areas, and camaraderie! 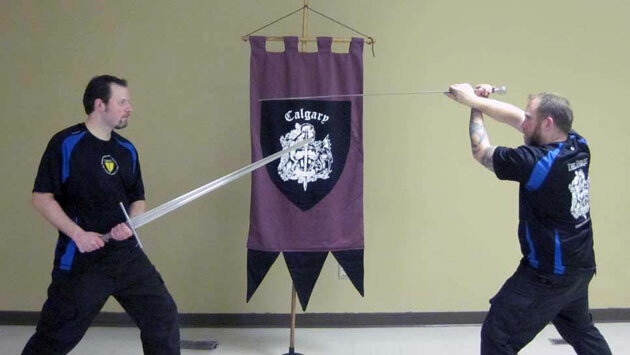 Long Sword Training – The class brandish long swords during practise. Be careful where you stand! Boxing Instruction: Tim (left) and Mark (right) takes defensive boxing stance.